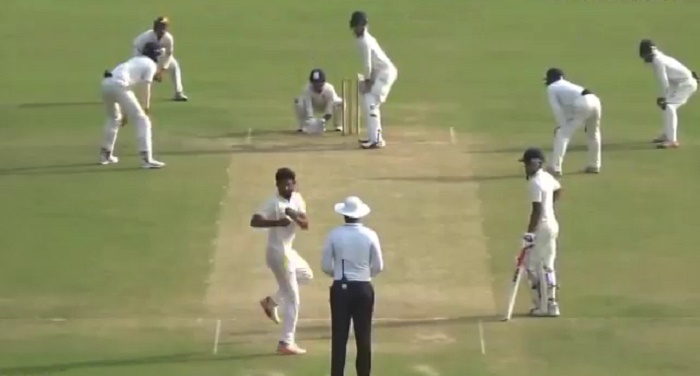 UP left-arm spinner Shiva Singh grabbed eyeballs after delivering a unique 360-degree delivery during the CK Nayudu Trophy (India's Under-23 domestic tournament). The ball pitched just wide of leg stump and the batsman blocked it out on the leg side. The umpire immediately called a dead ball and it has been revealed his decision was based on the fact that Singh was deemed to be distracting the batsman in the act of delivering a ball. "The umpires said dead ball, so I asked, "why are you calling it a dead ball?" But former England captain Michael Vaughan had a completely different take, saying he had no issues against the action. The match is being played at the Bengal Cricket Academy ground at Kalyani. 'The intent of the reverse action (for batsmen) is different, ' he said.